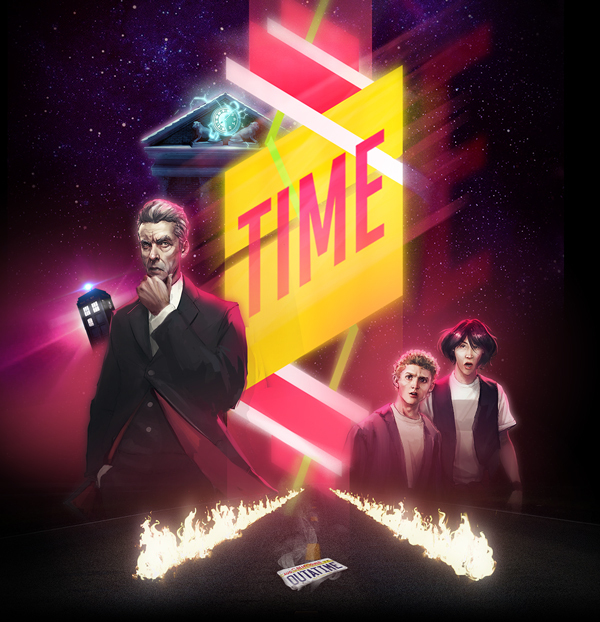 The Loot Crate theme for October is TIME! Usually Loot Crate October themes are horror related like 2013’s “Survive” and 2014’s “Fear”, but I’m excited for this non horror related theme. As the release above states, this crate is going to feature items from Back to the Future II, Dr. Who and Bill and Ted! Bill and Ted 1 and 2, are my favorite time travel movies with the Back to the Future trilogy right behind them. I’ve been trying to catch up with Dr. Who but I’m still stuck on the Matt Smiths seasons. I heard Peter Capaldi’s Dr. Who is really good, I can’t wait to watch episodes. I’m hoping for a Wyld Stallyns t shirt and a Dr. Who Funko Pop but I’ll be happy with whatever. I can’t wait for the 20th!